First of all, it’s easy. Maybe a little too easy. The Skutt 1227-PK I’m using is fairly simple to setup (once you figure out the menus – I believe the same controller is used on most of their automatic kilns) and it’s very easy to run – just set and forget (for the most part). After all the long hour (and multi-day) firings I’ve done over the years I felt sort of useless for this one. Nothing to really do but wait. Oh you can check the peep holes occasionally and watch the cones drop but provided that everything is calibrated properly, intervention is … unnecessary. 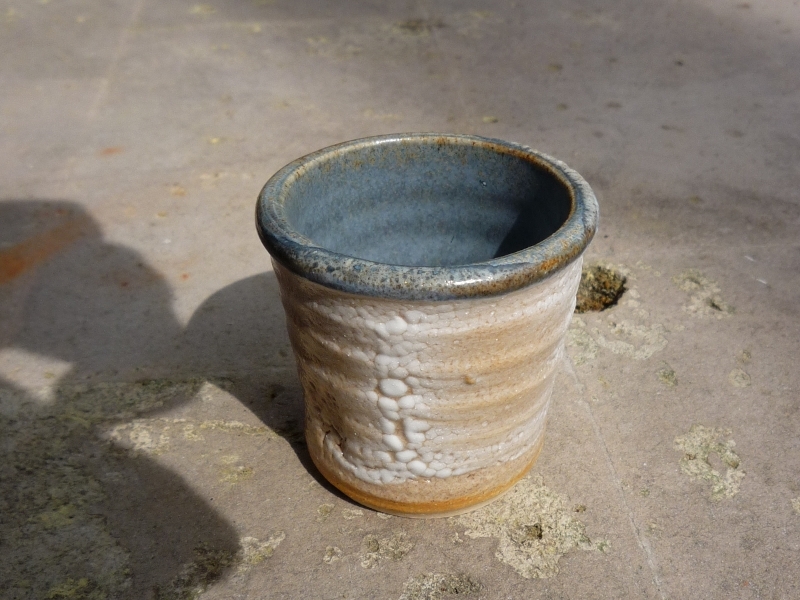 So the firing did go as well as can be expected, but the glazes certainly didn’t turn out the way I expected. The main issues? First of all they were way too glossy. This was a result of both the glazes themselves and the firing schedule. The pre-programmed firing schedule used by the Skutt controller works well but it doesn’t include any sort of temperature control on the cooling half of the firing cycle. 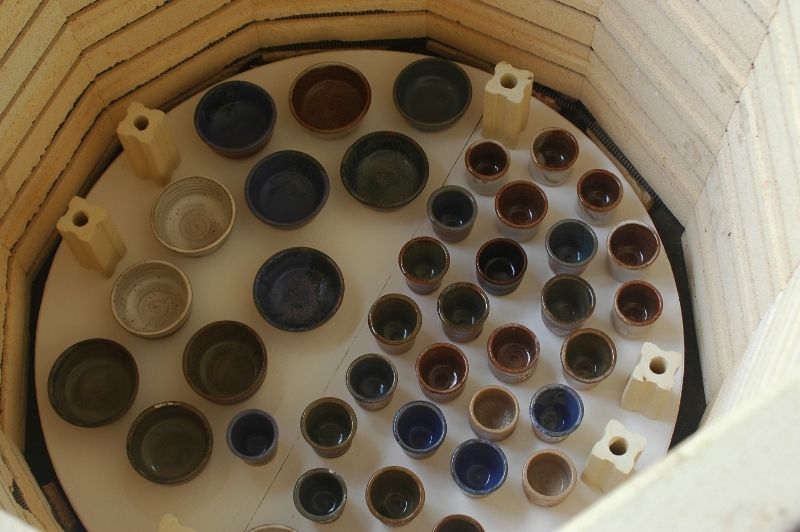 In general, the more matte the glaze needs to be, the slower the cooling cycle needs to be. The slower cooling allows larger crystal formation in the glaze. Diffusion/diffraction at the surface of the glaze changes significantly the larger the crystals are, giving the glaze surface a much more matte appearance (though the surface may physically be just as smooth or nonporous as a glossy glaze). Second issue was the glaze application. Way too thick. Lost all surface detail. So was I happy with the results? Not at all. However I guess I can’t be too disappointed considering I didn’t have any kilns shelves get damaged from glaze and no issues with any of the pots. 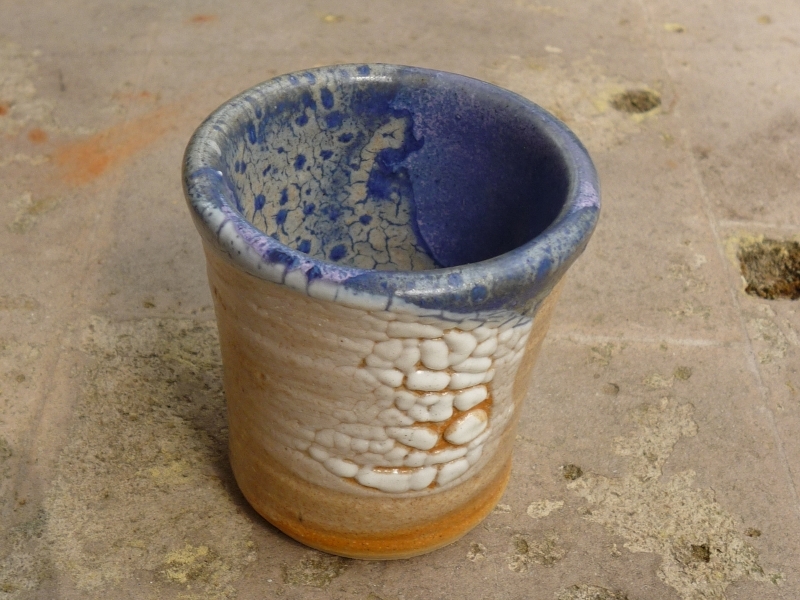 I did have a few pieces with some very interesting combination glaze effect which I want to experiment with. Not terrible for the first glaze firing in 13 years!